This was done after landing on Cuverville Island in Antarctica. 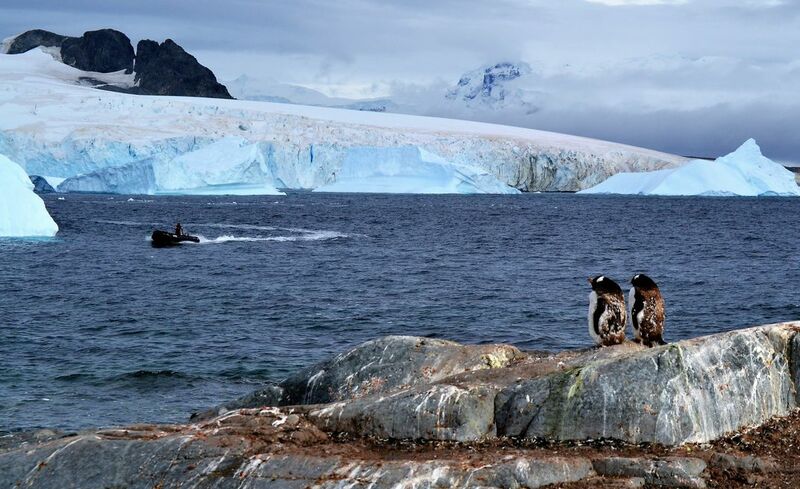 It appeared that two Gentoo penguins were watching the Zodiac arriving. Date Uploaded: April 16, 2018, 5:39 p.m.